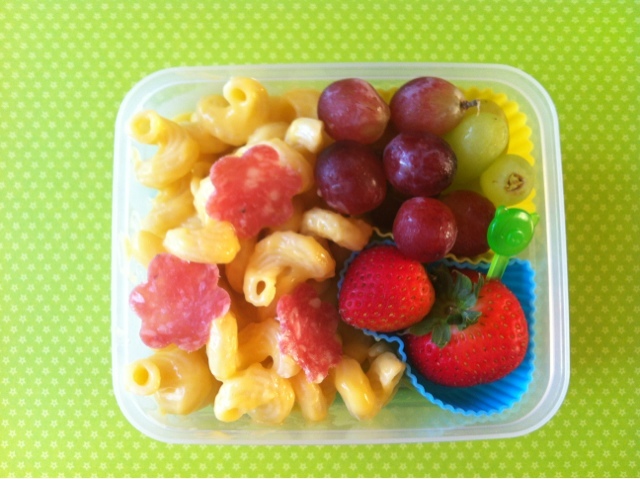 Today's Bento is Mac and Cheese! Tell you the truth, I couldn't think of anything last night. One difficult thing is that my girls are picky eater. I could make pretty obento, but they may not eat it. I have to find a fine line between pretty and something they eat! So here it is. JJ is only in Kindergarten. 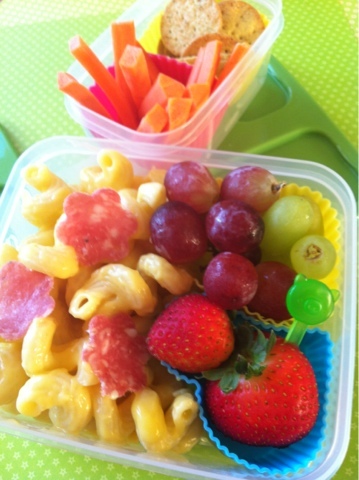 This is a huge obento for her. The little container with carrots are for her snack time. She also brought a box of raisins today. For CC, I forgot to take a picture, but pasta is tomato sauce. It's funny, two girls who are only 2 and a half apart has totally different preference.